All team features are limited to paid plans. On the Starter and Growth plans, you are provided with a single shared team that everyone is part of by default. On the Organization plan, no shared team is provided automatically - you can create as many teams as you would like though. 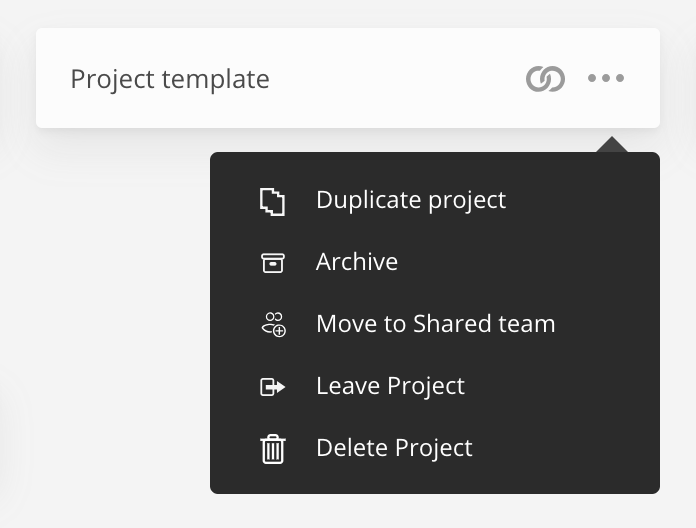 To add a project to a team, click on the right side of a project, and click the "Move to team" button. Once it's in a team, you can remove the project from a team the same way. To open up the team settings, click "Team setup" to the right of the team name. If you're a Teammate, it will say "Show Team" instead. Anyone in your subscription can create a team. By default, the creator of the team is the Manager of the team. To invite someone to a team, they must already be a member of the subscription. You can invite people via email in the Team Setup dialog (click Team Setup to the right of the team name). See the Team-level permissions article for details on what Teammates vs Managers can do. To remove someone, click on their permission level on the right side of the Team Setup dialog, and click "Remove from team"